In late 2006, a new rule concerning safety on board the aircraft began but, having flown several times in 2008, I realized that many products were still singled out by customs. A lipstick ... no problem. 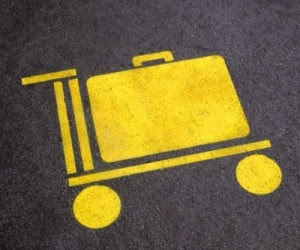 Mascara, lip gloss, nail polish ... think initially put in a small plastic bag when you prepare your luggage for flights. The bag must be transparent and slider to be closed safely. The law limits the amount of liquids you bring on board: no more than 100ml of liquid per container and the whole should not exceed 1 liter, placed in a single plastic bag. You will need the bag spontaneously control. As for lighters ... the law is more diversified. None in hand luggage in many cases. For others, one lighter permit. This depends on the airports. For example, in Terminal 3 at Orly, there is a patio smoking after customs ... while the lighter is permitted. For all smokers, slip an old disposable lighter in your bag and put another lighter in the outside pocket of your suitcase for the finish. So you will not be caught unawares.